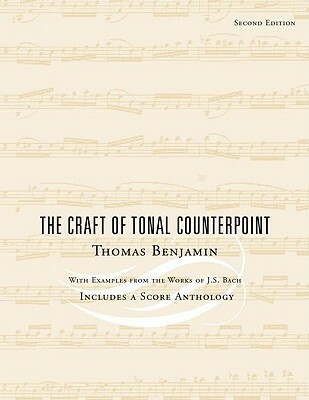 The Craft of Tonal Counterpoint is an introductory text to the analysis and composition of tonal counterpoint. Using examples from the music of J.S. Bach - the master of this style - the author takes students through a series of carefully graded, cumulative exercises that stress both analysis and writing. Benjamin covers chromaticism and fugal writing in exceptional detail. The exercises cover a wide range of formats, including error detection, linear pitch reduction, analysis and composition. The book also incorporates a 100-page anthology of scores, effective for analysis, in-class performance, and compositional models.